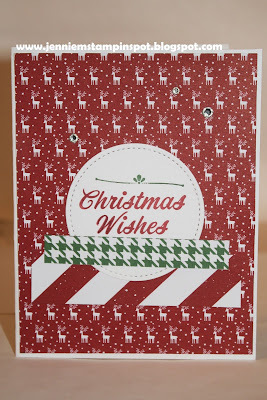 Jennie M's Stampin Spot: Christmas Cards Done! Such fun paper, great Christmas card! Love this simple design that showcases the DSP beautifully. Thanks so much for sharing it with us at Sunday Stamps this week.